After a wildly successful public offering, GoPro CEO Nicholas Woodman became a billionaire and decided to give 5.8 million of his shares to his new charity. Sounds great, but there's one catch that's angered investors, who sent shares down 7% Thursday. JPMorgan, the IPO's underwriter, is letting Woodman's charity sidestep a rule that prohibits insiders from selling stock within the first 180 days of a company's IPO, which could potentially send shares lower. The bank made an exception and will let the charity sell the shares starting Friday, Oct. 3. That's nearly two months before the lockup period expires late November, which is when GoPro (GPRO) managers and directors can start selling. GoPro's head honcho just announced his new charity, called the Jill + Nicholas Woodman Foundation, on Wednesday. A press release says that details about its mission will be announced "at a later date." Related: Is GoPro becoming a movement? Shares of the extreme-camera maker closed Thursday at $85.40, well above its June IPO price of $24. That makes the gift from Woodman and his wife worth $450 million. 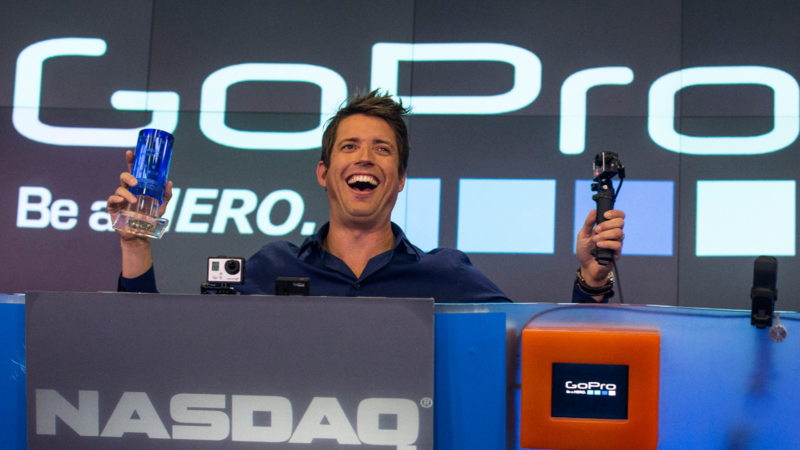 GoPro didn't say whether the charity will sell its shares immediately. JPMorgan (JPM) and GoPro declined to comment. The gift represents a small share of Woodman's holdings; at the time of the IPO he held about 52.4 million shares, according to SEC documents. GoPro stumbled a bit in early August when it issued its first earnings report, which failed to meet investors' lofty expectations. But the stock has gone nearly vertical since the last week in August, until Thursday.